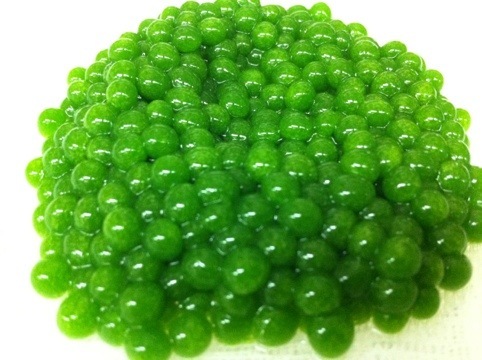 Non-fish flavored “caviar’s” have become very popular in the past few years and I have been experimenting and reading non-stop to find recipes and techniques that I like when creating these little spheres of flavor. 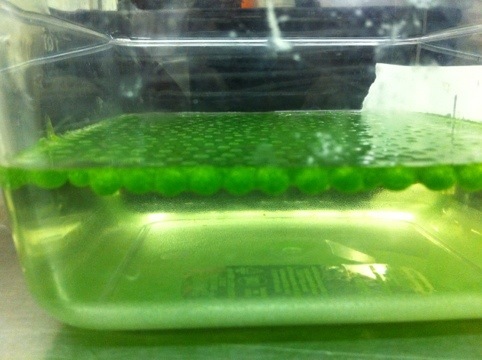 The technical term for making these caviar’s is called spherification. After a little practice you can flawlessly make perfect little spheres of any flavor you desire. Some of the equipment that you will need can be found by following the links. 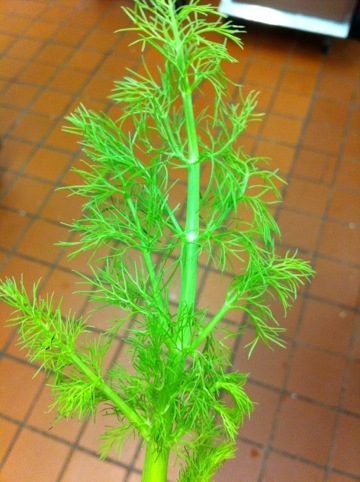 Fennel Fronds are the little green hairy things above the bulb of fennel. 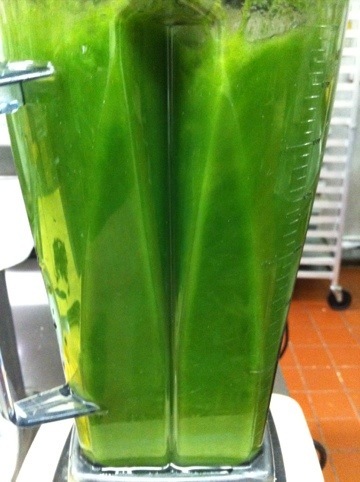 Strain and measure your liquid, pour what you need back into the blender and reserve the remaining puree for later. Turn the blender on and add the alginate, once blended, pour your base into a container and store in the fridge for 12-24 hours. This will allow air bubbles to float to the top and pop, alternatively if you have a vacuum chamber or food saver you can put the puree into a bag and seal it, this will remove the air instantly. 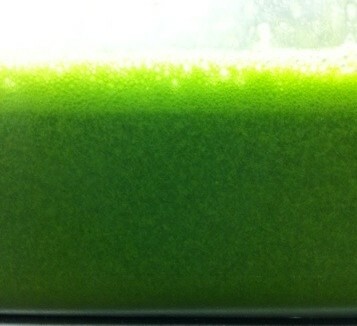 Let the puree sit under refrigeration for 12 hours to remove air bubbles. Combine calcium chloride and water, blend until the calcium has dissolved, this is the setting bath. 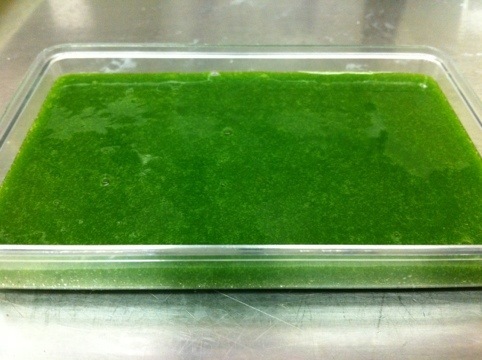 ~~The consistency of the puree should now be like a loose gel. Depending on the viscosity of your puree from the start this may change. If using straight water, this may be a very good ratio, if you have a higher viscosity puree you may want to reduce the alginate a little. Whatever the consistency is, it is what your final product will feel like when eating it. I have used the 96 cavity pipette to produce large amounts of these caviar’s, you may omit it and just use the syringe if you like. Prepare three containers, one with the calcium chloride bath, one that’s empty with cheesecloth over the top, make sure to secure it with tape, and one with clean water. 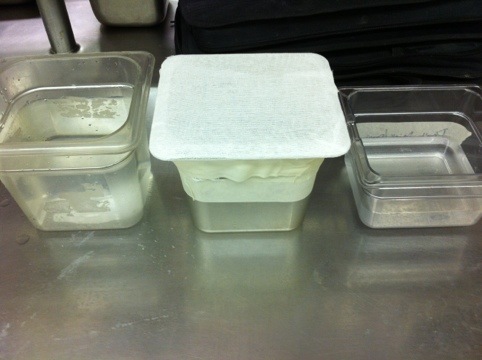 Left to Right: Clean water, cheesecloth covered bin, calcium bath. 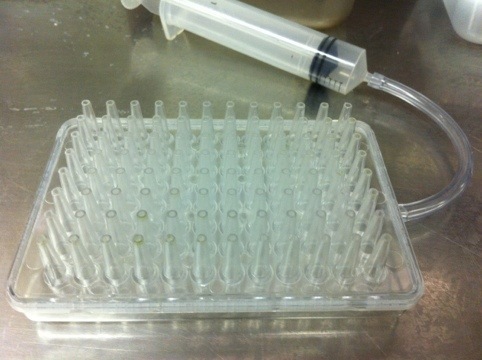 Once your solution has clarified, pour it into the plastic tray that comes with the 96 pipette, or fill your syringe. The pictures below will demonstrate how the pipette system works. 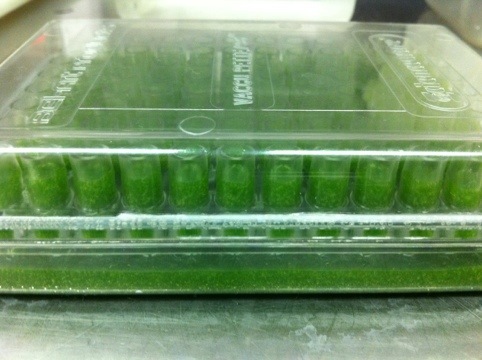 Plastic tray filled with the fennel frond puree. To fill the 96 cavity pipette, place it on top of the plastic tray, back the syringe out a 1/4″ then attach it to the hose coming from the pipette. Pull back on the plunger until the 96 cavities in the pipette are full. I use a towel to wipe of any extra puree on the dropper before setting them. Place the cavity over the calcium chloride bath and depress the plunger. Let the spheres “cook” for 30-45 seconds. Pour the solution and the spheres onto the cheesecloth, then spoon the spheres off of the cheesecloth and into the clean water bath. Once the spheres have been rinsed, store them in the extra puree (that does not have the alginate); this will help them maintain their flavor and color. They are best when used immediately after rinsing in the clean water. Thank you so much for the nice recipe . What do you mean by AN water ? As Needed, you can click the link on AN to see all of the abbreviations that I use.